Meeting up with a good friend of my husband's from his work days in the UK and his wife continues to restore my faith in general with human beings. It is so easy for some people to take in all of the negativity that is thrown out to us through the news, social media, as well as what is just happening in front of your very own eyes. It is important to remember that most people have good in their hearts, and need to be allowed to express it. 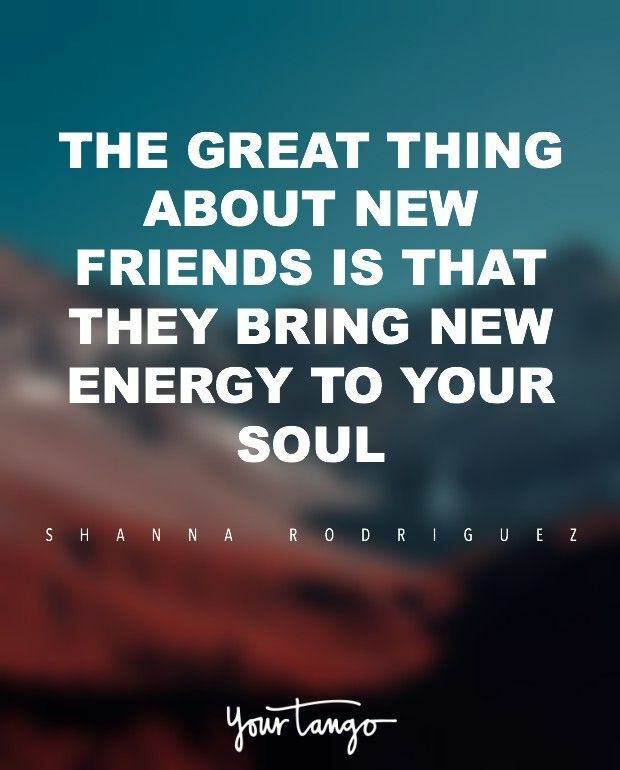 Share in the good times and let new energy grow within your soul. My naivete permits me to believe in people more than most others from my experiences. There are a lot of good people out there, despite what we hear and read about day in and day out. These two lovely people visited with us over the weekend and we had an absolutely delightful time with them. Conversations ranged from intelligent to drama filled, to just down-right silliness. Sharing experiences of dealing with people from all around the world demonstrated to me that I am on the right track. What we did discover is that the saying of why can't we all just get along is how we all felt. They shared some drama stories in dealing with people, just as we did. It certainly felt good to know that we were not just out there alone in wondering if the world may be going mad and we are the ones left behind. Actually, it is just the opposite. I suppose you could call this movement the silent majority. I truly believe that. Most people would love less drama and more karma. Leave the drama for the stage. Why would anyone want to stir up the pot for the sake of stirring? Well, we all do know of people that fit that description. They thrive on it, even to the point of being addicted to it. Walking on eggshells, for fear of saying something that would be upsetting to another is not the way to get along with one another. Social skills are required. Preface what you may want to talk about simply to be aware if you may be stepping on someone's toes. With our house guests, it was so easy going and such a no-brainer, that conversation flowed like a soft ocean breeze, whether we were in our home, out at a local park enjoying a beautiful autumn sunset or in a nice restaurant having dinner. The saying that common sense is not so common is very true, as we found out through sharing life events that we have all lived through. They told stories, as well as the two of us that continued to validate that saying. The fact is that as we talked, we got to see that those "squeaky wheels" are out there for attention. 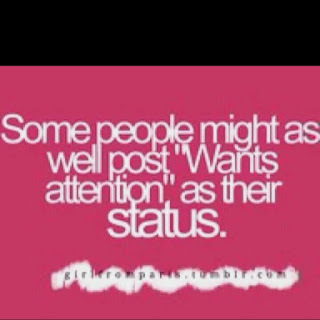 It does not matter what kind of attention - which means negativity is perfectly fine with them! What does matter is how the rest of us respond. You can't let them ring your bell if you don't put it out there for them to ring. That is a social skill that some just can't seem to grasp. The bottom line is to surround yourself with those who do have a love of life and laughter. Sensationalism can be all around you. Ask yourself how do you want to be remembered? Drama king/queen or a person who others enjoy being around? I have heard there is no Academy Award for the Drama kings/queens in daily life. In fact, there is really nothing for them, except possibly some negative attention. For all the others who would love for everyone to just get along and be happy, there are multitudes of rewards; such as having many people feeling comfortable in your company and sharing good vibes about your karma with others. I am so hoping that our delightful house guest return soon and that we can go to visit them. Always be open for new adventures. Just look at this face. He is Mr. Charming, or so he wants you to believe so. As his owners, my husband and I believe this to be true 95% of the time. He is most definitely sweet, precious, adorable, empathetic, and loving. We can't imagine our lives without him. Trust me. This is a very good thing for when he has those intense moments of sheer naughtiness. Both of us have been dog owners before and knew that at some point we would be again. Our jobs just did not allow the time and energy that is required to be a proper dog owner. After giving myself some time to adjust to retirement, the day had come to research the dog that we wanted to come and live with us. Actually, my husband came up with a name before the dog. Having the last name of Miles and being music lovers, the quirkiness of mixing up Miles Davis to become Davis Miles seemed perfect. Therefore, Davis would be our new household member. I had researched dog breeds, rescue dogs, animal shelters, etc. and there were good and not so good stories of getting a dog from a place that has either questionable or no history of what that dog has been through as a puppy, both from a perspective of health and socialization. On the other hand, no way did we want a puppy from a puppy mill type of place. It is my belief that probably many of the dogs in shelters actually came from a puppy mill environment. Once I found out about goldendoodles, we knew that this was the dog for us. Several wonderful qualities impressed us about them. They are good for anyone who has allergies, they do not shed (more about this later), they are very intelligent and social. Definitely, not an outside dog unless his humans are with him. It took quite a bit of searching, but we found a breeder nearby who invited us out to where the puppies were born and being kept. Both the mother and father were on the premises, which was a bonus. The puppy that continually came up to us without shoving others out of the way is the one that we chose. He also had the cutest little question mark shaped tail. Davis rode home in my lap wrapped in his little red fleece blanket. We knew that he would not be this small for long, in that his momma was a 40 pound standard poodle and his daddy was a 70 pound golden retriever. 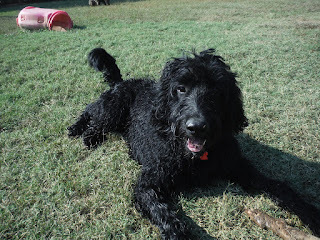 (Now at 11 months, he is a 62 pound goldendoodle.) He does still believe that he is that little 15 pound puppy, even today. 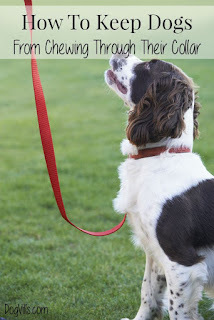 Through the puppy years that we have experienced so far, we continue to watch him go through the playful, investigative, and exploring stages by smelling, tasting and chewing. I have purchased and read The Dog Whisperer and many other articles that I can read about puppy behavior in general, as well as goldendoodle characteristics. I continue to be in contact with the breeder and some of the owners of the brothers and sisters of Davis. They definitely have their shared special little characteristics. First, let me say that this litter of puppies all shed furballs. You look down and see black tumbleweeds here and there. A brush called the Furminator and an IRobot vacuum cleaner have become our best friends here in order to keep the house clear of furballs. Apparently, this is not the usual for goldendoodles. All of this litter are black like their mother but seem to have more fur on them like their father. This is something that he can't help. What else can't he help? The fact that he has a sense of humor and can usually amuse us with his antics. I learned that dogs really do laugh with their tails and wow oh wow, does Davis have that question mark tail wagging as he is laughing not only at us, but also with us. You see, the puppy stage is most definitely still in him. I have learned that it probably will be until age 2 -3 years of age before he grows out of some of his antics. This means that in order for us all to have a harmonious relationship, we just have to know that Davis is going to do naughty things. The trick is to figure out why and how to stop him from doing them. 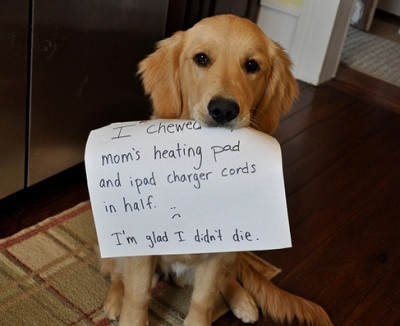 Chewing things that he shouldn't is still a problem. It is getting better, I will admit that much. Then a day like today comes along. You see, he knows how to work 'the system.' He can turn on the charm with those soulful eyes, a tilt of his head and a wag of that tail. He wants to please us so badly and when he gets hold of something that he should not have, he wants to entertain us and make it a game. You can almost hear him as he prances around with whatever he has in his mouth as he is singing, "Tra-la-la, catch me if you can." There is our first clue. STOP! No game. No chasing. No laughter. No cuteness. No big scene. It is a matter of offering what is his for what he has taken that is not his. The other trick is to try to outsmart these intelligent dogs by keeping things out of reach when you can, or else never leaving him alone where he will have opportunities to chew what he should not. Just as you would child-proof your home for a new baby, you must puppy-proof your home for his safety. I also know there are levels of being naughty for puppies, just as there are for children. It is an small problem and a smaller cost when your puppy chews your slipper. Who is the human who left it out for him to sniff, taste and chew? If he does get hold of it with you there, simply try gently repeating the words no or leave it and trying to do a trade of a toy of his. Not a reward treat, just something that he can chew. Dogs need to have things to entertain them. We can pick up a book, a puzzle, watch a movie - dogs? They need toys around to stimulate them, as well as a playtime and exercise. Today, on our way to Doggie Day Care, he became very quiet. Steve turned around and he had chewed his brand new leash handle off in record time. He rides with us all the time in the car and never, ever has he chewed on his leash. Lesson learned? Put him in the car, put the seat belt on him and take off his leash. 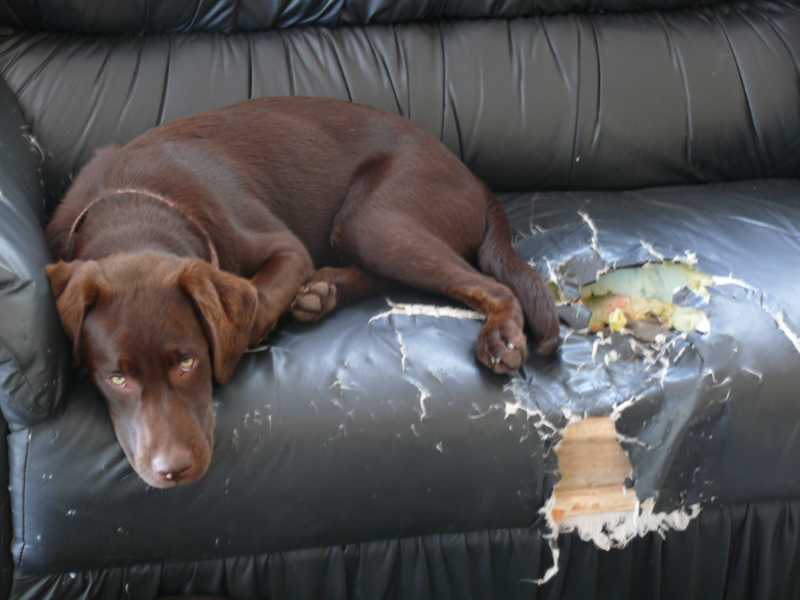 Another level of being naughty is chewing a pillow vs. the settee. Our dog is fast, however, this had to have taken more than a minute to destroy. Crate training is very effective for this kind of behavior. Our puppy continues to steal a pillow off the settee and shake it. Although, with constant reinforcement of quietly taking it from him and putting his chew toys down for a trade off is beginning to work. He actually takes a pillow off while in the study with me. Sometimes, I believe he just needs me to take a break from writing and give him some attention. Then there is the level of dangerous naughtiness. We are very aware that our dog is not ready to go to a doggie park that is not fenced in. He can't go out in our front yard without being on a leash. If a squirrel or a leaf blowing by caught his attention, he would take off running with full steam ahead, forgetting that he graduated top in his class of all the basic commands of, "Come, sit, down, and stay," not to mention knowing his name when called. Davis is a great communicator. He rings jingle bells hanging from a door when he wants out or if he needs his water or food refilled. One other thing that I know he is aware of...the time of day it is when the sun shines on a window of the door that opens to his play yard and reflects on the side of the house. When this happens he sometimes goes into the zoomie stage. Neither one of us have ever had a dog who goes into this stage. Not all dogs do it. Scientists have a name for it called frap(frenetic,random,activity,period). The first time I witnessed this I did not know if I should be laughing or running for fear of my life. 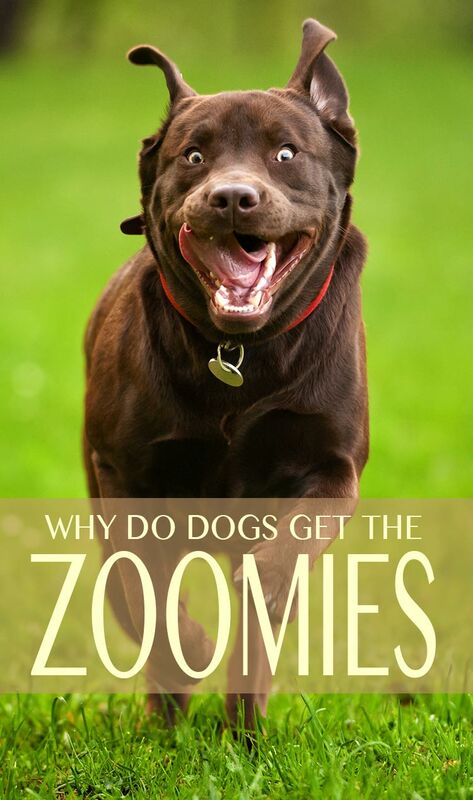 Once I researched some, the word zoomies fit perfectly. Frap, to me, sounded more like a bad word that I wanted to say outloud when he did it. 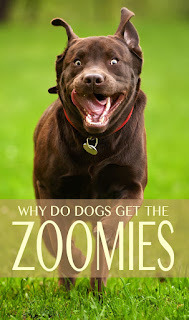 If you have never had the pleasure of witnessing a dog in a zoomie, it is where he usually bows down on his front elbows (if dogs have elbows) with his rear end up in the air, eyes go crazy looking and then he goes from zero to eighty mph in 5 seconds. He is flipping and turning and zig zagging every which way. Obviously it is best if this happens when he is outside. There is no way he is dangerous. He is just releasing energy and seems so happy within himself for having gone through it. Luckily, it does not last long. There is no point in joining in. Just move out of his way and let him get on with it. To keep us all happy, Davis goes to Doggie Day Care once a week for exercise and socialization with other dogs. He gets walks, has play time with balls, has special chewies that are good for him and his teeth; plus we continue to work on his training, as well as our own. 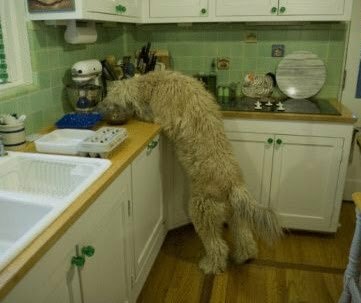 To avoid counter surfing in the kitchen, it requires us to keep any item, foods, tea towels, wiring, etc. all out of his reach. We know these things call to his exploring nature and the only way that he knows how to explore is with his nose and mouth. Fair warning! Owning a dog is a lot of work. It is work that pays you back with so much love and affection that your heart will melt. Not something to be taken lightly.It is important to remember that a puppy is sweet, precious, adorable, loving and naughty in perfect proportion. With all of the social media combinations that are out there at the fingertips of anyone who has a smart phone, have you ever considered yourself a "lurker?" I really had not ever thought of going on line to lurk. Who has time? After coming across an article in the BBC News, apparently it is quite common. This in turn causes self-esteem issues in many people. This concept interested me, for whatever reason--I think the main reason was that it was so far out there that I had never even considered it. You see, I am a firm believer in using the scroll tab on whatever device I am on at the time. 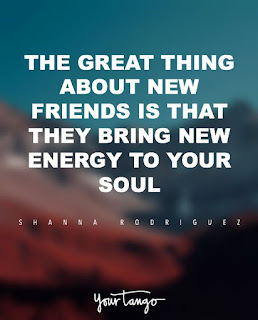 I love staying connected with friends and others with the social media. Silly me, I thought that most people did scroll on down when they started reading something that really did not pertain to them or bothered them. Some examples that I have seen are outright angry discussions concerning politics, news, religion. These discussions can get quite heated. Who has time for that? My momma always taught me to be careful who you have those kind of discussions with, especially when you are not sure of your sources. Politics and religion are very private matters to me. It is best that I scroll on down. I do not judge a person on their views, I simply have decided not to join in their discussions. The fact being is that each person seems to believe their way of thinking is the only way of thinking. I beg to differ. The BBC article stated that too much browsing on Facebook can actually make one compare their lives to others. In some ways, this totally shocked me. Can't we feel happy for those who post beautiful pictures where they travel or perhaps their new home or their precious new baby in their families? All of this is positive. We have to remember that we all have good things going on in our lives. No one has this Ken and Barbie life going on 24/7. It is only a chunk of their life. If someone's posts continue to annoy you then unfollow them or learn to scroll. 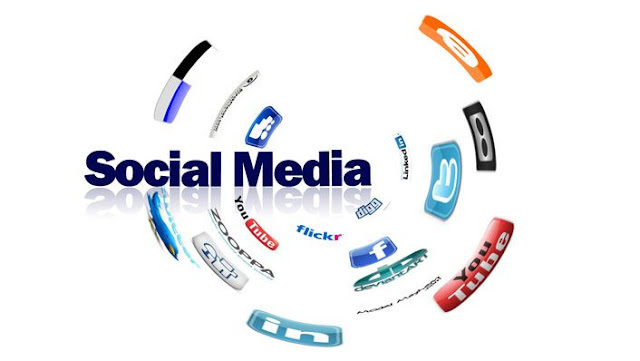 Pick out what you feel you are emotionally able to handle when you use one of the social media channels and go from there. I do know that besides the political and religion rants, two other things have my finger on the scroll button. They are when I am reading about how ill someone says that they are feeling and then they go on to write what they have accomplished in their day. That is an automatic hit scroll. Stay safe. I can tell you that I use great will power to not type the comment, "Well, DUH!" The other item that I feel is not really appropriate for all to know and read about is someone's horrible misfortune, some even with graphic pics. This information is best left to those as in friends and family, as in person or private e mails. Again, this is just the private side of me. I am not hiding anything, it is just that I don't need for the world (slight exaggeration) to know about what specifically I may be going through with myself or family. One way to stop feeling jealousy or low self-esteem is mentioned in many articles that I read and that being is to take yourself off of the social media channels altogether. That seems rather extreme, however, I know many who have done exactly that because they could not resist the temptation to look at all of the posts and compare their lives with what they read others are doing. You do what you have to do to work on your own emotional health. Can't we all just be happy for one another? Each person has something wonderfully happy going on in their lives. Take the time to think about it and share. We all don't have the resources to have extensive travel plans all around the world, yet we all can make plans to travel some. Write down in a journal each day what you specifically are grateful for and you will be surprised at how many so called little things can add up to make for an uplifting day. And the rest of the day is yet to come. 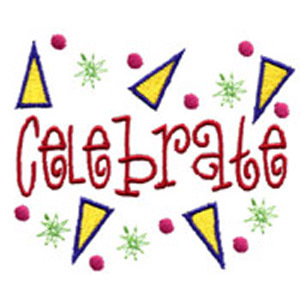 Oprah got it right when she said, "The more you praise and celebrate your life, the more there is in life to celebrate." Let the celebrations, no matter how big or small, begin! 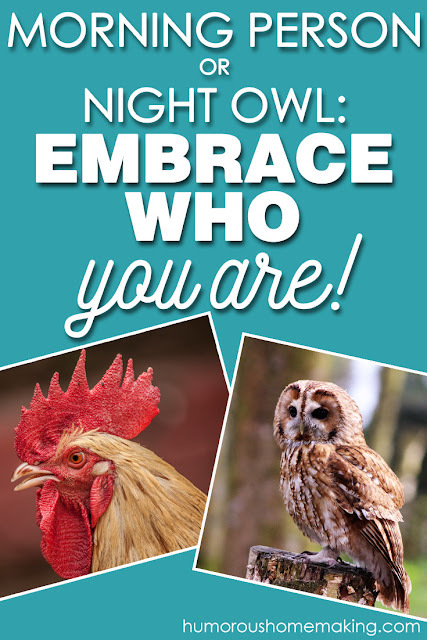 Before I even get started on this controversial subject, let's get a clear definition of what I am calling an early bird and a night owl. I am not talking of the extremists out there, of which there are plenty of them. It just is not natural to go to bed at 8:30 P.M. and wake up at 4:30 A.M. for most humans. Just as for most of us, going to bed at 2 A.M. and sleeping until 10 A.M. just does not work well for us. Let's find a happy medium to talk about. What is early for some is not to others and vice versa. Let's not change our natural body rhythms. Why? Work with what is natural to you. My happy medium is to go to bed around 10 or 10:30 P.M.and wake up around 7 A.M. What works for me, may not work for you. 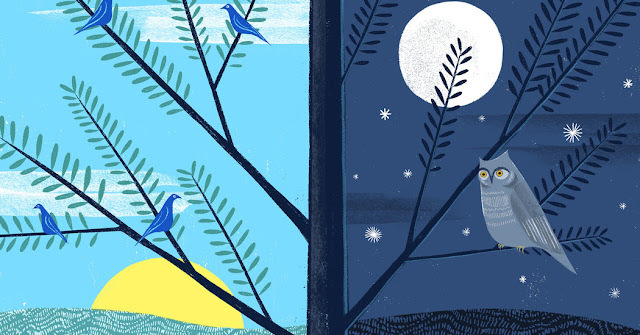 In order to have some kind of routine, we all must find our own body clocks. I knew that when I was in the working world outside of my own realm, I left the house at 7, which meant waking at 5:30 A.M. There was no way I could trust myself to use a snooze button on the alarm, so I really did get up when that alarm started ringing. My thoughtful husband even stopped that horrible alarm clock sound by using the Bose cd player starting at a low volume with Van Morrison crooning and slowly working up to a louder volume in case it was just one of those slow to rise mornings. I had to get up out of bed to turn the music off. To me, each morning just felt like an indecent time of the day to be awake. In order to shower, dress, fix hair and makeup and have a breakfast (with lots of coffee) then this was the only alternative. I remember driving out of the neighborhood watching walkers and joggers getting their morning exercise. Twinges of jealousy ran through my veins. "If only," I would think to myself. Then it happened. I retired and became a writer working on my own schedule. As time ticked away, I did discover that my body clock changed somewhat. I found myself staying up watching not only The Late Show but the Late Late Show. I would sleep in till at least until 8 the next morning and sometimes 9 just to fulfill 8 - 9 hours of sleep that was good for what my body needed. Something was missing. There was not enough time to get into my creative side, much less time to do any exercise. After talking this over with the love of my life, we decided to get into a routine together. He is also a writer. We needed a basic routine. Both of us feel more creative in the morning. If we sleep in too late, then that creativeness has gone out the window, never to return that day. So in that respect, I suppose that, yes, we are morning people. To me, there is nothing like opening the shutters up to an early shot of sunshine. Natural light is a definite mood enhancer for both of us. 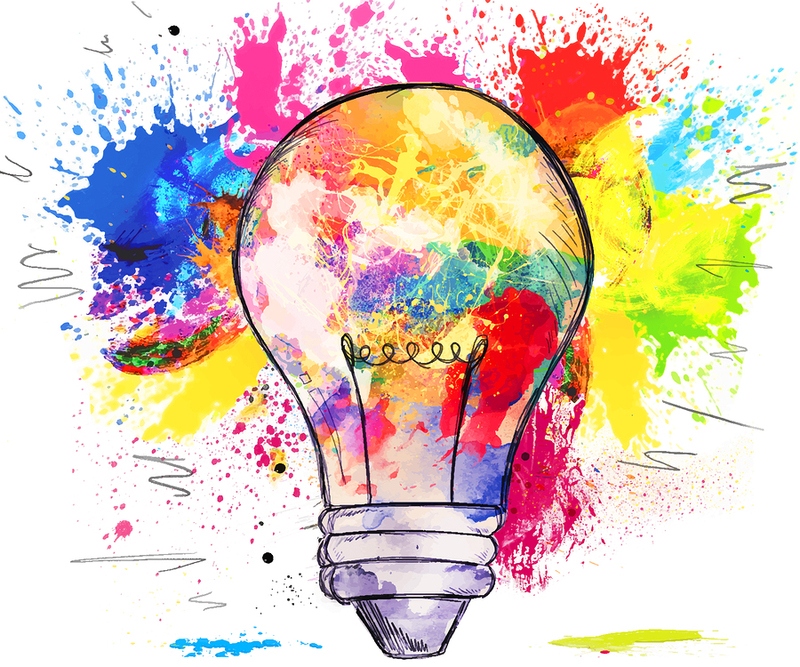 Some creativeness may flow into the early afternoon, or may take the research route or something that is needed and has been proven is very good for us - a power nap! Amazingly, I have discovered this is the best way in the world to kick start my metabolism. It actually does boost my brain power. Starting with an "I DID IT" attitude is such a positive spin on each day. I have been reading Better Than Before by Gretchen Rubin. She states over and over that habits eliminate the need for self control. It actually frees us from decision making. Making this routine a habit is the something that was missing in my new chapter of life. There are some people in this world who are morning people from the get go. I am married to a perfect example of this kind of person. This man usually let's me slide into my morning at my own pace. There are times that he seems to need to stir up a little drama first thing in the morning, such as today. I decided to remain impervious to his impish behavior. 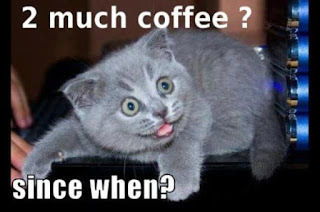 As I tend to enjoy the quietness of the first thing in the morning, he is not used to me asking a question. My question was about something that had happened yesterday. He broke off into the Paul McCartney song of "Yesterday." This broke my whole train of thought and basically all that I could manage was feeling my left eyebrow raise automatically. This caused further laughter on his part. It is a really good thing that I love this man to pieces! Actually, it is probably a really good thing that he loves me for who I am. 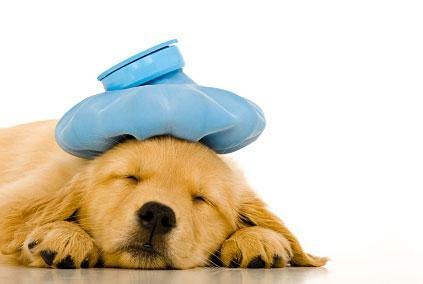 Let me say, here and now, that a sick puppy is almost as bad as a sick baby. I feel that I am qualified to say that because I have had both. I will add that my human babies had me a bit more worried. That said, our goldendoodle had us very worried today. Everything in our day started out as usual. Then, all of a sudden our puppy seemed to be in distress on his bed. I thought that he was choking and immediately called Steve in from the next room. By that time, he had thrown up some undigested food. He was able to walk outside with Steve, but managed to throw up one more time in the screened in porch area before making it outside. Of course, he seemed confused, a bit, because he has never been sick. We looked (as hard as it was to do so) to be sure that we did not see something abnormal in what he had thrown up. Neither of us saw anything. Surprising, since we must guard everything from him taking it and eating it. Just as babies put everything in their mouths, so does our puppy. We very carefully observed him, as he rested in his crate and on his bed. The momma in me tried to keep him quiet and still, which really was not very hard to do. Davis was not himself at all. Yes, the Google Queen here, looked up information on dogs getting sick. It has been many years since our family had a large collie who had a very finicky tummy. I do, however, remember getting our family take out food because I was too busy cooking chicken, rice and potatoes for this collie. I was wondering if I would be doing this for our little Davis. I am now laughing out loud at me calling him our little puppy, as he is now almost 11 months old and a little over 60 pounds. What I did find out on my Google quest, is that after a bit of rest for the tummy, try him with an ice cube. He loves to munch on ice cubes so we tried one. Then two. For one hour, all was good. Then he stood up and threw up just a small bit of liquid. Now, back to square one. Again, he just rested and we gave him no water or food for a few hours. Everything that I did read said to watch for dehydration. Withholding food was just fine for up to 24 hours, just not water. After a few hours, we let him out and he wanted to play with his ball. He continued to bring it to us to toss to him. We gave him a few little tosses and then just let him be. With no food, he surely could not have that much energy to release. We tried another small ice cube. That seemed to work and stay. We went to bed earlier than usual so when Steve took him out he reported that he did at least do a little of his #1 business. I continued to worry about dehydration. How much is not enough water vs. too much water? Just as with babies who can't express themselves, puppies fall into this same category. We went to bed, not knowing what to expect in the morning when we both got up to start the day. The first bit of good news is that he did not get sick during the night. He popped out of his crate, wagging his tail and seemed like his old self again. He went out and did a small amount of both of his "duties." This was to be expected, simply due to the fact that not much went into this sweet little body yesterday. For today, we will start slowly with ice, then a bit of water with a small bit of food. The food will start with a boiled baby potato before we try a little of his regular dog food. At this stage, both of us agree that we do not need the vet unless this continues on today or into tomorrow. Puppies will be puppies. I need to let my intelligence take over and not read too much into the medical Google information. Most of what is written is strictly common sense. Which according to a quote from Voltaire, "Common sense is not so common." This picture of a coffee mug is definitely one that I love, especially if it is filled with freshly brewed coffee. 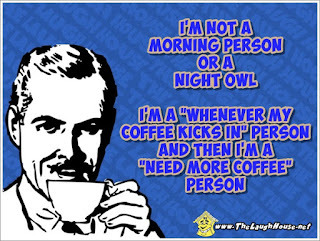 I know that I am a coffee geek or coffee nerd, just as much as I am a quote nerd. I am aware of that fact. Just one of my quirks and I totally accept it. Luckily, my dear husband accepts me for who I am unconditionally, as I do him. We share the love of quotes, however, the Brit in him leads him to being a tea lover. Just as I will drink a cup of tea now and then, he drinks a cup of coffee now and then, and there is where we part one of the few ways between us. This was one topic that I did not have to do any major prior research on in order to have my facts straight. I already knew that coffee brewing is a Science. (Seriously so!) Coffee drinkers are passionate about their coffee, as are tea drinkers. In fact, some in each category can be down right smug. I don't believe that either one of us go to that degree, which is probably a good thing. Brewing a proper cuppa tea takes skill, just ask a Brit. The first time that I attempted to make my love a cup of tea, I thought that he was going to fall out on the floor when he witnessed me placing the mug of water in the microwave. It was at this time, that I received my first lesson on how to brew a proper cup of tea. I do know that all of our equipment must be properly cleaned or else the tea or coffee will have a bitter taste. Just as steeping it too long will cause the same problem. Making a large pot of coffee and then drinking from it all day will make each cup taste more bitter than the one before. This problem can be solved by brewing more often in smaller amounts, using the new one cup at a time coffee maker, or being very careful of how I grind the beans. Grinding the beans too coursely causes under extraction, just as grinding them too finely causes over extraction. For perfect tasting coffee, I prefer the grinder to be right in the middle. Were you aware that the perfect water temperature is 195 - 205 degrees? Boiling is at 212 degrees and this is just too hot for extracting the coffee. Another similarity between coffee making and tea making is the temperature of the water. Tea kettles must have boiling water. Do believe the old saying that a watched kettle will not boil faster. (This is why I always used the microwave before receiving my education in tea making.) Tea kettles seem to take forever. 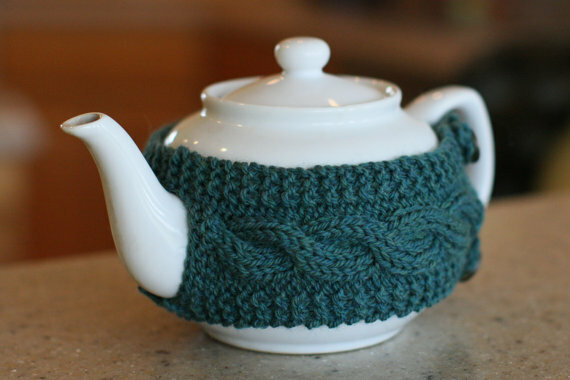 Then it is important to put the tea in a warm tea pot with the cozy over it. Let it steep for one to three minutes and depending on who you talk to, the milk goes in the teacup first or last. Both sides have their arguments for why. I am not convinced that it really matters. The other amusing similarity between tea and coffee connoisseurs is concerning straining your loose tea vs using a tea bag and using a coffee maker rather than a French Press. To me, the French Press just seems a bit too archaic, plus it leaves a bit of grittiness to the taste. Straining your tea also usually leaves a few bits of the tea, no matter how careful you are. Maybe if I were a well-trained barista, these things would not be a problem. I just really enjoy making a good cup of coffee. If I want a specialty coffee or tea then it is worth it to me to just go where there are trained baristas to work their magic. I am sure that you are aware that a good barista can make or break a coffee shop. Going back to the opening picture of the coffee mug, it is true that my days of writing consist of having a freshly brewed cup of coffee whenever I want, all day long. If I want a specialty skinny vanilla latte, then it is a hop in the car just a couple of miles down the road. Life is good! The one really good news item is that it is now proven that coffee drinking is actually good for you. As with all things, this must be done in moderation and without spoonfuls of sugar and flavored creams put in with the coffee. 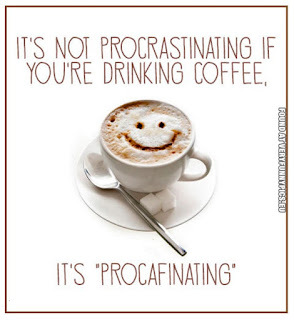 For me, not a problem since I tend to love my coffee black...no cream, no sugar. Fancy lattes or frappuccinos are with nonfat milks. Go ahead and enjoy your coffee or tea to start your day. It is the poor souls who must start off their day with a half gallon of soda, whether regular or diet. Google what a soda does to your stomach. Pour one can into a dirty pot or pan, let it soak overnight and by morning it has eaten through everything. The question then comes to my mind, "So what is it doing to my insides?" Just a question for you to think about. 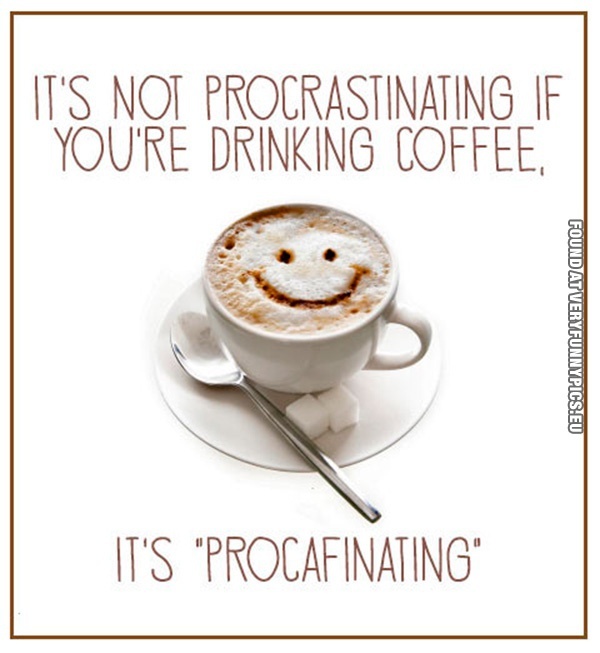 I believe that I will just hang on to my coffee habit. Let's just shake, be friends and to each their own beverage! CHEERS! It Is a Mental Thing! Most of us try to not only work on our physical well-being, but also our mental well-being. With all of the diets, exercise programs and nutritional information bombarding us, I feel at times that the majority of people work harder at their physical wellness. To me, they should be balanced, 50/50. Of course, there is reading and focusing on crossword puzzles, sudokus, etc., but I am talking more on the lines of positive thinking and how to work on engaging in things that I have observed through others of making myself stronger mentally. This also is a great skill to work with when raising children. I know that I used some of these ideas as a parent and as an educator. There always seems to be a time that a bully will come along in your life. One certainly does not have to be a child to come up against a bully. There are plenty of adult bullies out there. Some are hiding behind their passive aggressive behaviors. We all just need to be aware of them. I learned a long time ago that I must not give them the power to control my behaviors or the way that I think. The trick to not becoming a victim of bullies is to not give them that power. Once they have it, a vicious cycle has started. Look to the future and work on not repeating mistakes made in the past. It is okay to fail at something, just be strong and move on by learning from mistakes. Giving up should not be an option, as it is simply dwelling on the past instead of moving forward. You want to be sure that you do not repeat mistakes by taking the time to change your plans. This will take some hard work so don't expect immediate results. There are always setbacks. It is called life. Learn from mistakes and remember that the world does not owe you anything. Most others who have successes got where they got today by working hard and turning failures into success stories by changing what was not working. A very wise professor of mine said over and over to his students that it is useless to waste energy over what you can't control. He loved to add on that there is no way that any person can please everyone all the time. It is important to remember when making decisions, make them for the right reasons. Life is not a popularity contest. There will be times that we all must take risks. The fact that there is a karma 'out there' should be all one needs to help themselves move on, at least it is for me. That old saying of what goes around comes around is very true. 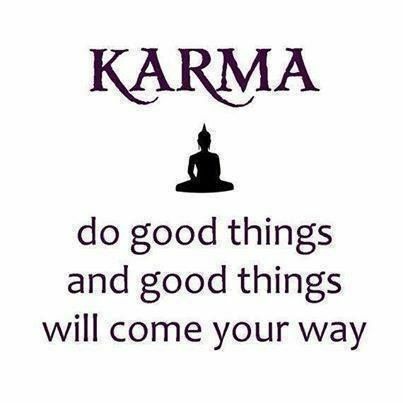 You may not know the when, who, what and where of the karma, yet it will come eventually. Keep in mind that the karma can be positive or negative. Which do you want to deal with? The cause and effect can work in both ways. Wake up Routines - Do We Need Them? Sometimes, it feels so decadent to get out of a routine, even if just for the day or the week. I suppose that now that I am retired, people think that I do not need to abide by a routine. I beg to differ. Even though it has been over a year since my retirement, I still have not found the "routine" for me. I just keep trying out new ones to see where I fit. Some things don't change in my waking up routines. There is even research to back up why this is a good thing. I truly believe this. 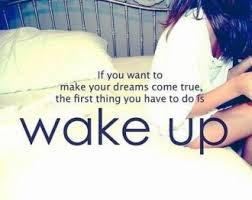 Most of us wake up to an alarm clock. When I was in the 'get up, dress, hurry, hurry, drive in rush hour' work mode it was a terrible feeling when something did not go right. Either I overslept or snoozed too long and once that happened my whole day was set off on a bad note. Perhaps some of you are able to change that scenario all around. I, for one, could not. Before becoming an administrator, back in my teaching days, I would tell my older students that if they saw me with no earrings or if I were wearing my glasses, then that meant my morning did not start well. (in other words, give me some space) These smart, loving children actually followed my advice. They knew that my day was just messed up and gave me my space. Plus, they knew that if they came to tell me a problem that they may have had, they knew that I would listen and cut them a break. This blog will list some of the ways certain routines may work for you so that you do not have a terrible, horrible, no good kind of day. I am leveraging many of these concepts. Waking up on time is very important. If you enjoy that extra 10 minute snooze, then plan for it by setting your alarm clock ten minutes earlier. You can snooze or even do some stretching exercises to get the blood flowing, while in bed. If your time zone is where it is light outside, it will also help if you go ahead and open the curtains in your bedroom to let the morning light in. Enjoy the start to a beautiful day. Make your bed just to give yourself the satisfaction of having a neat room. Take the time to hop in the shower that will refresh you, even if you had a shower after work or the night before. Is there a rule on how many showers you can take in a day? It is the perfect way to wake up to a refreshing start. 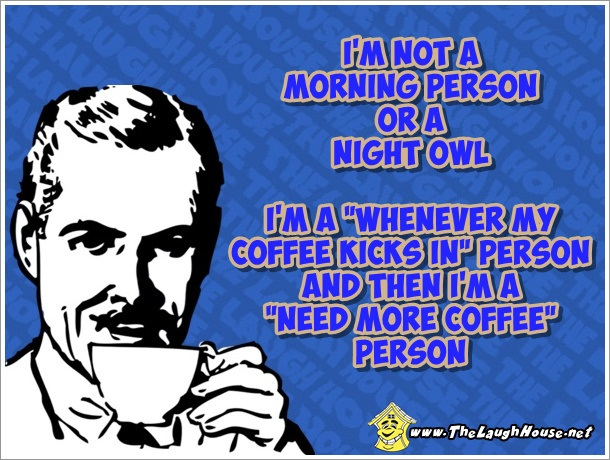 Coffee is my beverage of choice first thing in the morning. Pick yours! I must admit that I tried the healthy smoothie thing. It just did not work for me. This also is the time to have a healthy breakfast and to do a positive mantra with a bit of meditation. Quiet time is important. A time to write down things that you are grateful for. I actually mix these up for a morning routine and an evening one, by writing in my journal about my day. If you are like me, I could not handle getting up at 4:30 in order to exercise and then start my 5:30 routine to get ready for work. Our goldendoodle needs to take a trip outside and that breath of fresh air, whether it be hot and humid or just a touch of coolness, helps the mood of my day. Some people have shared with me that they manage to park where they may walk a bit further on those beautiful mornings just to take in the fresh air. As I have mentioned in previous blogs, I am a list maker and before I left for home the day before, I made a 'To Do' list for the new day. Before I made it to my office, many times the priorities had already changed. Be flexible. Always have a fresh smell in your work space, as well as soft background music. If I was really with it (and for now due to being at home) I am sure to have lunches planned and healthy snacks available. In the days of being on the clock, so to speak, there was no way that I could meet friends or even go with my husband to breakfast. It was way too early. 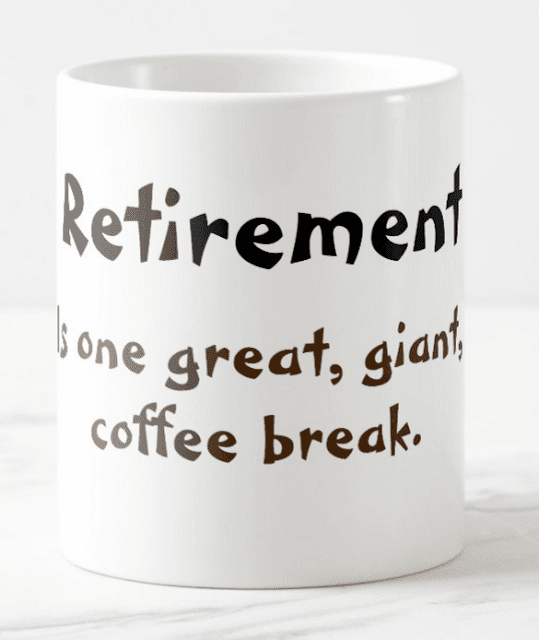 Now in retirement, this is a reality! A breakfast out now and then is such a wonderful treat for us. Always leave time for your commute. I had ten miles to drive and the time ranged from a 15 minute drive to an hour drive, depending on road work or accidents. I managed to give myself 30 minutes. If it took longer, I just had to call in. Also, on the drive in, some people love to listen to podcasts or audio books. I loved either the quiet or some calming classical music. Whatever suits your fancy is what is right for you. It is vital to remember how important relationships are. I always needed that hug and kiss goodbye. In fact, even after that hug and kiss goodbye, my husband and I still would talk on our cell phones to each other, just as if we had not seen each other in over a week. Ahh, sweet love! There are many other routines that people use to get themselves motivated for the day. 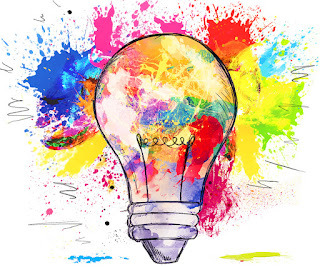 The important thing is to find what works for you so that you have the most creative, productive day possible. Over an extended period of time, I have learned through experience that there is a need for all of us to learn how to 'quiet out minds in order for our souls to speak to us.' This is part of a quote from Ma Jaya Sati Bhagarvati. In the big picture, this is part of being mindful, at least in my book it is. On my Facebook account, I shared a video from the BBC Family and Education group that showed 6 and 7 year olds expressing what mindfulness means to them and how it helps them. It was eye-opening to hear young children verbalize what it means to calm down and relax. They spoke of how it helps them get their minds back on being able to learn. One little girl explained that it has taught her how to breathe out all of her worries. Yes, young children have worries and need a way to help them deal with them. There are adults who truly do not believe in this mindful state. I know this for a fact, because they look at me as if I stepped on to Earth from another planet when I talk of it. Never would I push my beliefs on anyone else, so there is a time that I just know to stop talking about it. There is no judgment here. What works for me will not work for others if they are not a believer. Two young children explained that circle time, when they can share how they feel by using colors, weather or just plain old feelings is their favorite time. Such a great way to introduce empathy to young ones. Most seem to have this emotion naturally. These exercises just help them become more aware of themselves and others. By using our senses and working together, it helps to improve everyone's mental well-being. Another child explained that he can go into his bubble and breathe in and out just for calmness and to think his own thoughts. 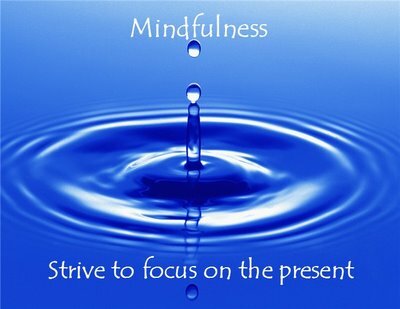 Mindfulness is a form of meditation. It works in a group setting, as well as for an individual. This is how I begin each day. These young children have given me a few new visuals that will improve my mindful state even more. I love thinking of me inside of a bubble thinking my own thoughts. Maybe I feel like the sunshine, or a rainbow, or a thunderstorm, or blue? Just nice to acknowledge that this is how I am feeling. "Feelings come and go like clouds in a windy sky. 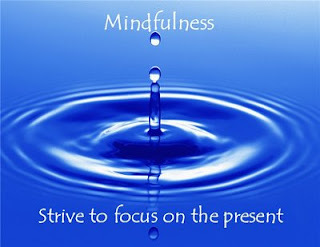 Conscious breathing is my anchor," according to Thich Nhat Hanh. This allows me to have a moment to think about how I am feeling and then breathe to let it go. If I can't change it, then why am I wasting time worrying about it. To end with Eckhart Tolle's quote, "In today's rush we all think too much - seek too much - want too much - and forget about the joy of just being!"